This week, I wanted a change. 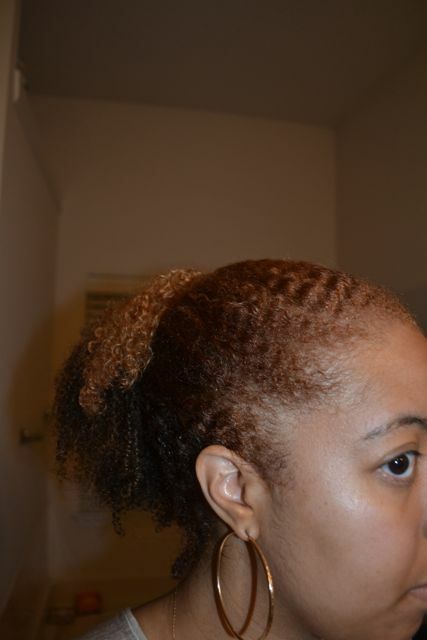 Yes, just a week ago I put on a red rinse…but I was kinda over the rinse. I rushed to Sally’s to see if there was anything I could do to make the rinse go away faster. I used a clarifying shampoo and it only faded just a little bit. I wanted a bolder hair look and decided I wanted to get my hair professionally colored. It’s been awhile since I had gotten my hair professionally colored. I’m usually up in my kitchen doing it myself. 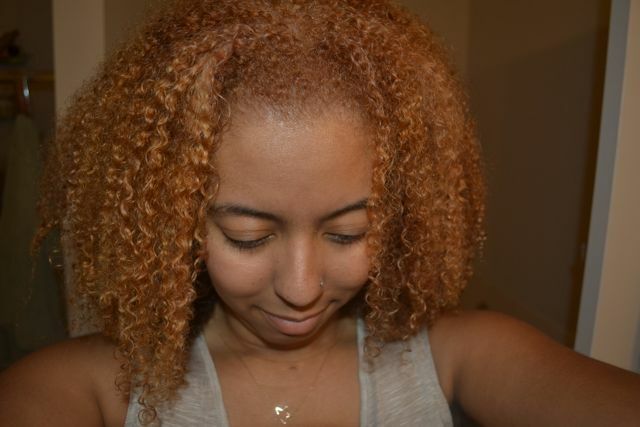 I decided to do caramel blonde on the top and this time I decided to have the back dyed. Instead of my natural color being very, very dark brown, I wanted to get that lightened just a little so the contrast of the caramel blonde wouldn’t be so much. I got to K. Logan salon and I had a great time!! Between the conversations and the laughing, it was non-stop fun. Kia was super personable and made me feel comfortable. She was knowledgable about all hair types which is a plus in my book. I learned more about her amazing extensions line (OMG the hair looks and feels sooo good) which will be available online soon. 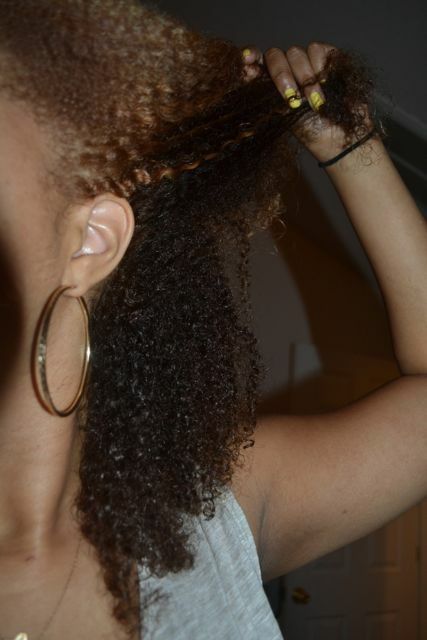 They even have textures for us curly girls! 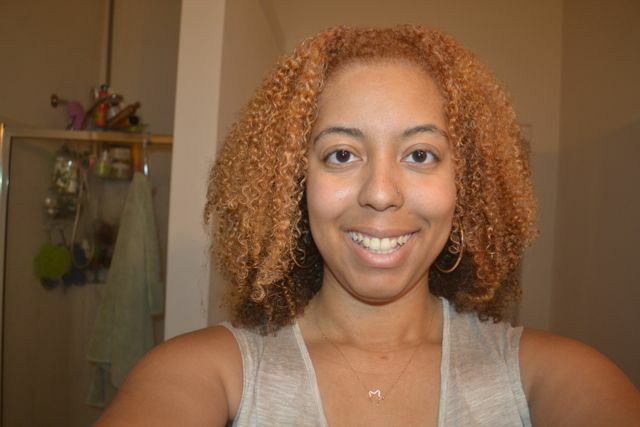 Here is the bottom that is a little lighter than my real hair color. Since my hair was wet, you can’t really see the color well. 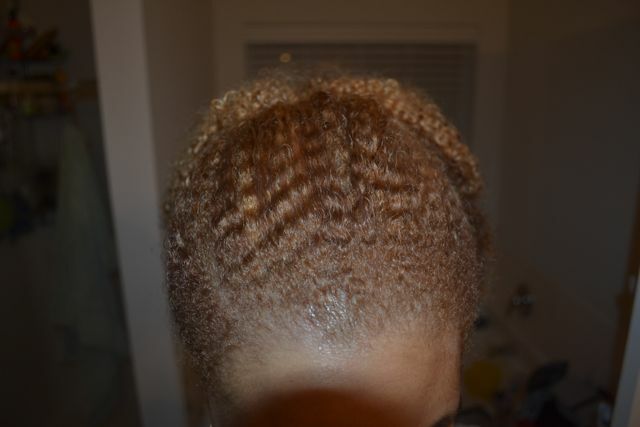 Of course, you will see tons of pics with the hair dry so you can see the color better! Thanks again to K. Logan Salon for the amazing job. Check her out. She is based near the Buckhead area of Atlanta and has a nice salon! Look out for her extensions too!! What do you think of my Spring/Summer color?